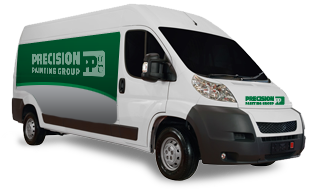 Precision Painting Group, Inc was founded in 2011 by George Gaffney, Jr and Jarrod Lynch. We strive to provide the most experienced craftsmen along with top of the line materials to deliver superior service to our clients. With over 18 years of project management experience, we can furnish value engineering ideas that can decrease costs and time. Our hands on approach enables us to foresee and head off many problems before they arise. Our goal is to provide consistent high quality service on time and on budget for our customers. Reputation is everything in this business, which is why we work so hard to ensure our client’s expectations are achieved on each and every project. Precision Painting Group, Inc. is a drug free workplace. We are fully licensed and carry General Liability, Automobile Liability, Umbrella Liability, and Workers Compensation / Employers' Liability Insurance. A second generation Tampa native, George graduated from Chamberlain High School and earned an Accounting Degree from the University of South Florida. George is a certified building contractor with over 13 years of industry experience at one of the State's largest painting contractors. Jarrod has lived in Tampa for over 30 years. He graduated from Tampa Catholic High School, and earned a Communications Degree from Mercer University. He has over 8 years of construction experience, and has spent the last 5 with one of the State’s largest painting contractors.